This Urban Murphy Bed with hutches is perfect for any room in the city. 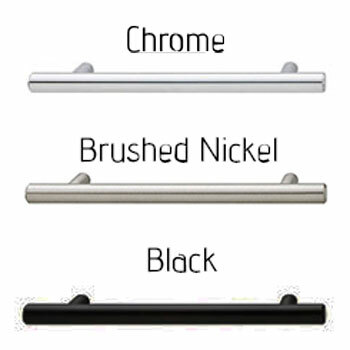 Open shelving comes standard with optional colors, door and bed sizes. Read below for a full description. 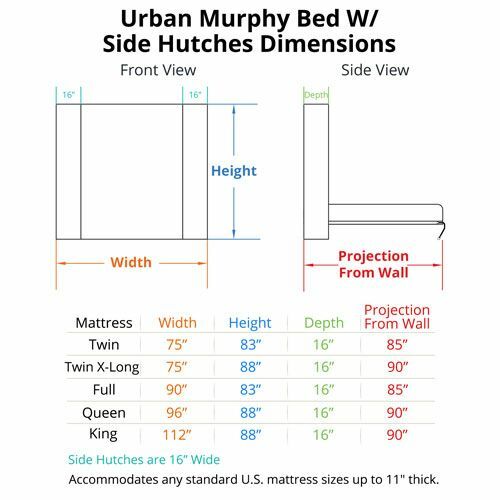 Our Urban Murphy Bed with Hutches kit comes complete with all parts and hardware ready-to-assemble and is available in: Twin, Twin X-Long, Full, Queen, King, . White industrial-grade melamine is standard with optional upgrades. This murphy bed kit includes 2 side hutches for convenient storage and doors can be added to hutches as options. 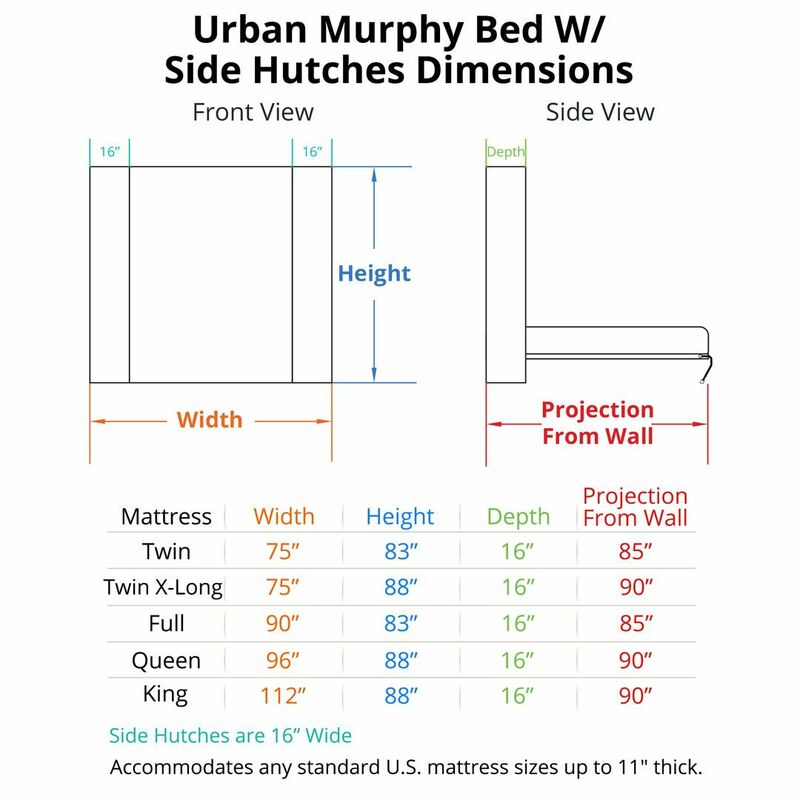 For a horizontal version of this product, check out this murphy bed with shelves.